Now that some of you have already finished your exams or are at least half way through, we wanted to take this chance to reassure you that while your results do matter, they do not necessary dictate your whole life. Focus on learning and making the best of your youth while you still have it! (sobs) That’s really what matters the most. 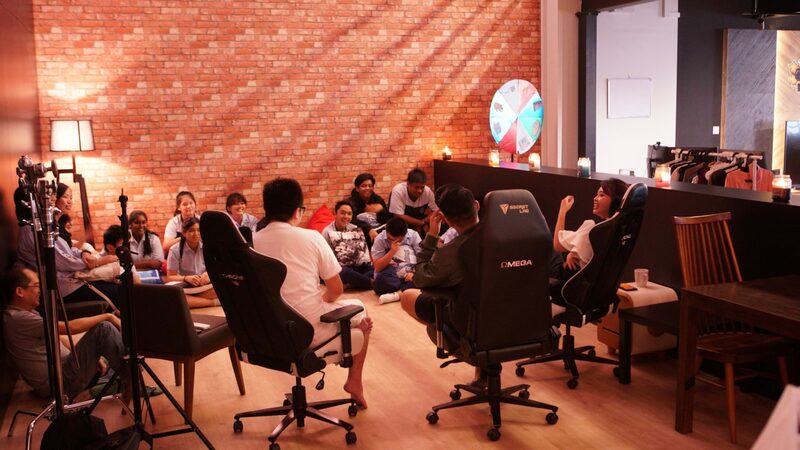 On such an occasion, let’s revisit the time when we actually hosted a group of students in our office for the first time. Having been around for 6 years and having encountered so many obstacles and being able to successfully overcome them, we have come to realise the importance of remaining grounded at all times. And one way of allowing us to do so is through community work as we found out through different occasions that words have a way to impact or change someone’s life. On 2 Nov 2017, we were graced with the visit of a handful of students from East View Secondary. This visit was arranged by their caring teachers who were concerned about their students’ struggle with their studies and hoped that this trip would motivate them to push on. 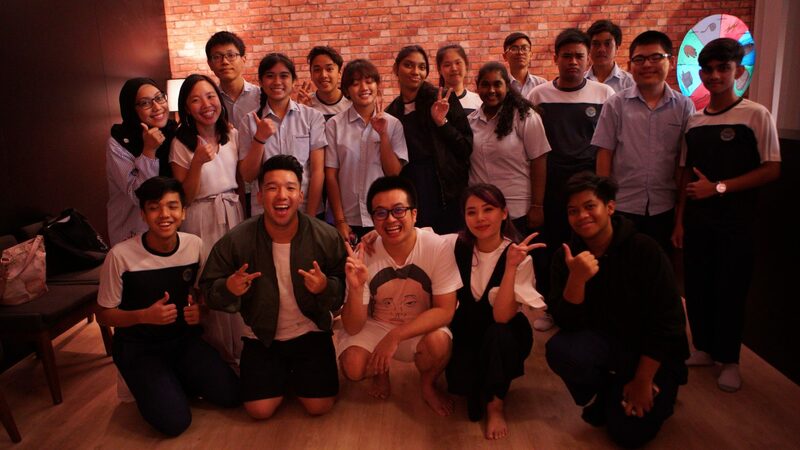 In this short 1.5 hour sharing session with the students, Ryan, Sylvia, and Aiken shared with them about their difficulties they faced when they were students and what actions they took to bring them to where they are currently. Ryan, Sylvia and Aiken hosted them, and after a brief introduction about themselves and their academic journey, they also shared about what they did to overcome the obstacles they encountered when they were still schooling. And if you didn’t know, Sylvia had to travel from Johor Bahru to Singapore in the wee hours of the morning just to attend school on a daily basis. Her journeys to school were often accompanied by odours from trucks with farm animals loaded on them. She did quite well in school, but Ryan and Aiken both didn’t. But look at where they are now. 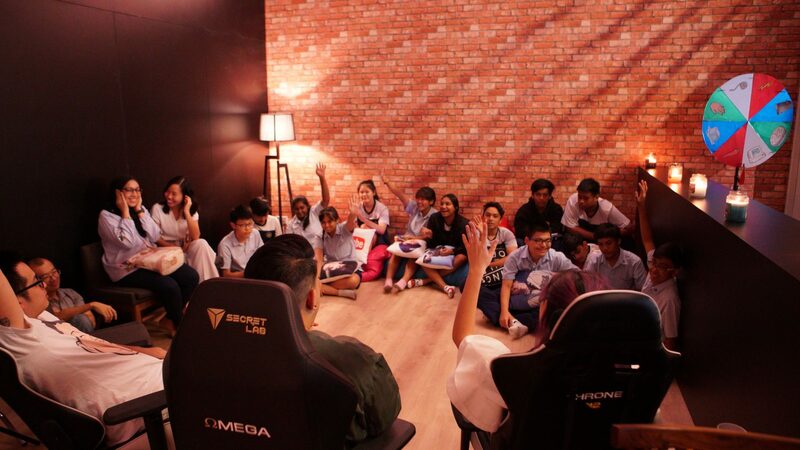 After sharing, they opened the floor for questions and the students surprised them with their enthusiasm. 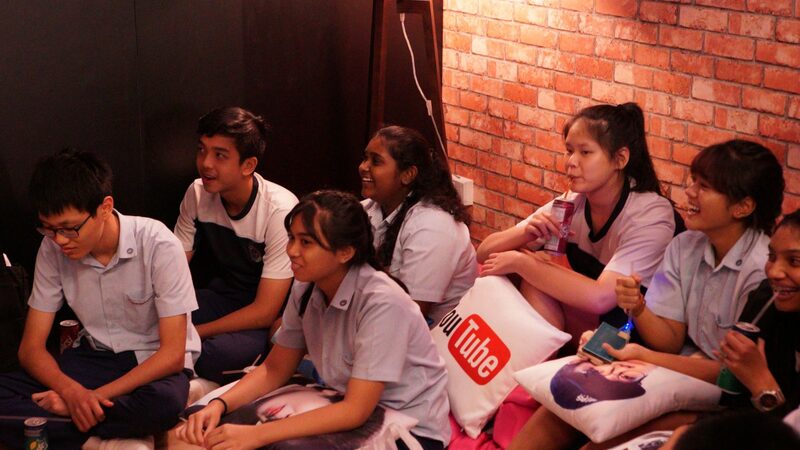 There were the usual questions of how to start YouTube, and what challenges they faced when trying to do that along with general life advice. But our hosts’ answer to them was simple. It was for them to do themselves. While it may look like being a YouTuber is fun (well, it is), but it is still a job. As such, YouTubers are not immune to everything that comes along with working in a job. Stress, job performance, results, etc. So while they will definitely encourage and show their support for people who are keen to start a career in YouTube, what’s more important is for people who truly enjoy what they do. Your attitude towards your job will definitely be reflected in the quality of work that you produce. And in the case of a YouTuber or a content creator, it will become even more apparent in terms of the content or quality of the videos that you put out for the masses. While many students might agree if we were to say that what we study in school are not relevant to the things we want to do as an adult, but the lesson to be learnt and what we hope that the students have taken away from the session is that basic education serves as a foundation on which you will be building your future career upon. There is only so much you can do on an unstable foundation. Also, school also allows you to learn soft skills that will be needed in the future, such as problem solving or even developing the maturity to do things that has to be done, even if you may not enjoy doing it, etc. To these students, as well as all the other students who’s reading this, fight on. Remember that one day your efforts will prove to be worthwhile.